We bought a brand-new car today! \o/ It’s an extremely handsome-looking Kia Cerato hatchback in dark metallic grey. We’d been toying with the idea for a little bit, then Kristina came across some videos of crash tests comparing somewhat older (from ~2000-ish, which is exactly what our current Corolla is) cars impacting with newer ones. They’re nothing like the utter crumpling of the cars from the 1970s, but still somewhat alarming. 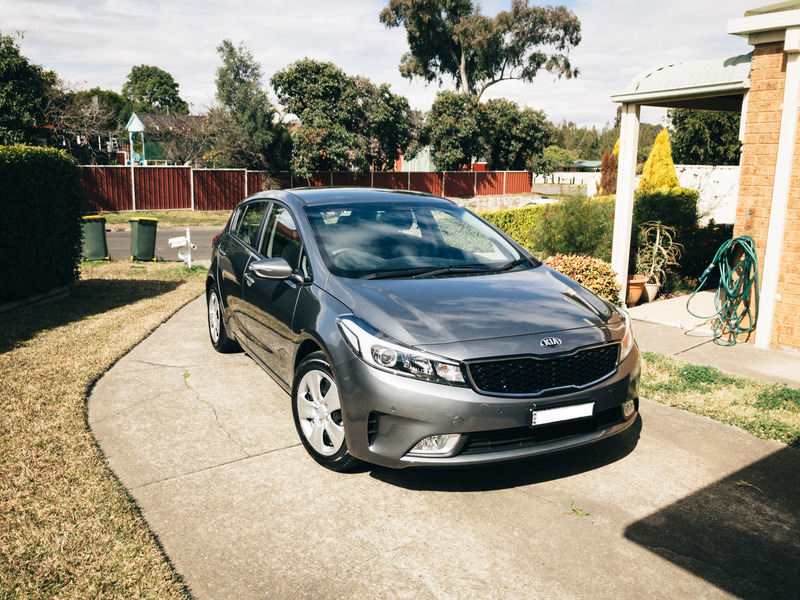 She did a bunch of research and found that the current Kias are extremely well-regarded and reliable, and it turns out there’s basically nothing else in the same price range that offer as much power and features; the equivalent cars like the Corolla and Civic and such were all several thousand dollars more, with less power and fewer included features. The Cerato has a 7-year warranty as well, which seemed to be more than most other cars. We’re going to keep the old Corolla for a while just to go to and from the station in, because parking there means the car is permanently covered in dust thanks to all the construction going on, and when it rains everything turns to mud and the trucks going along the road just splash mud across everything. Nginx, PHP-FPM, and Cloudflare, oh my!